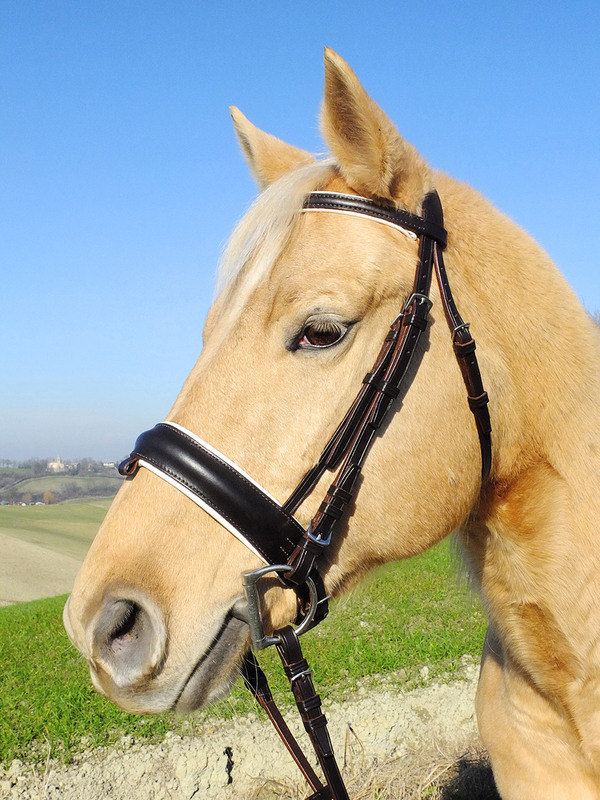 Here's a bridle (Cob size) made in dark havana leather padded in white, with stainless steel fittings. 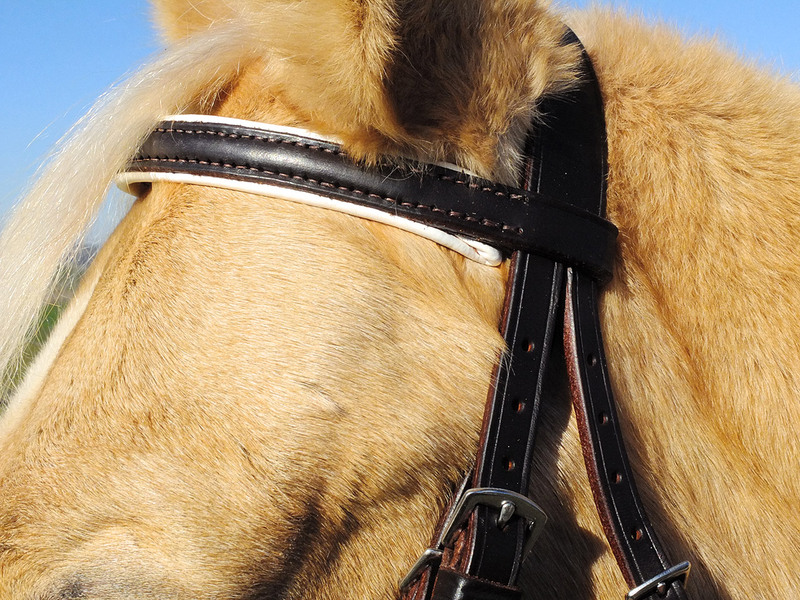 It features a Crank (or swedish) noseband, padded and raised noseband and browband. 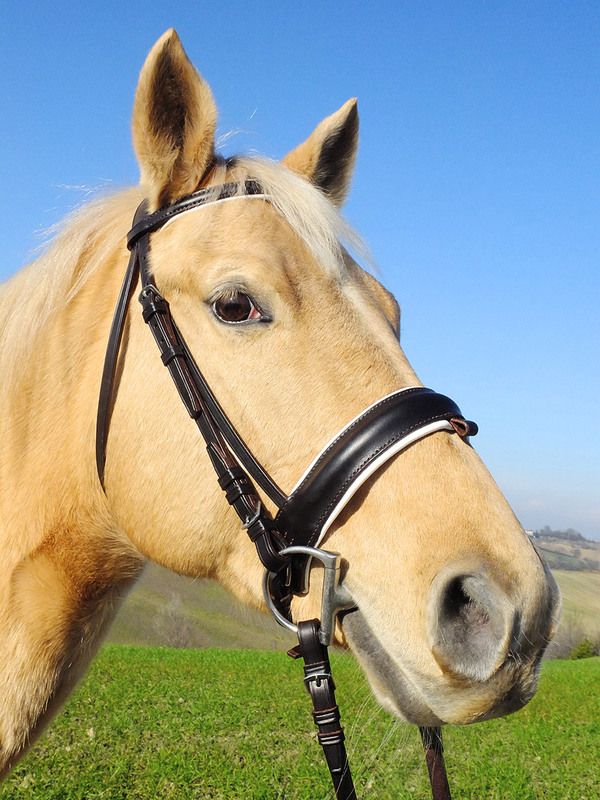 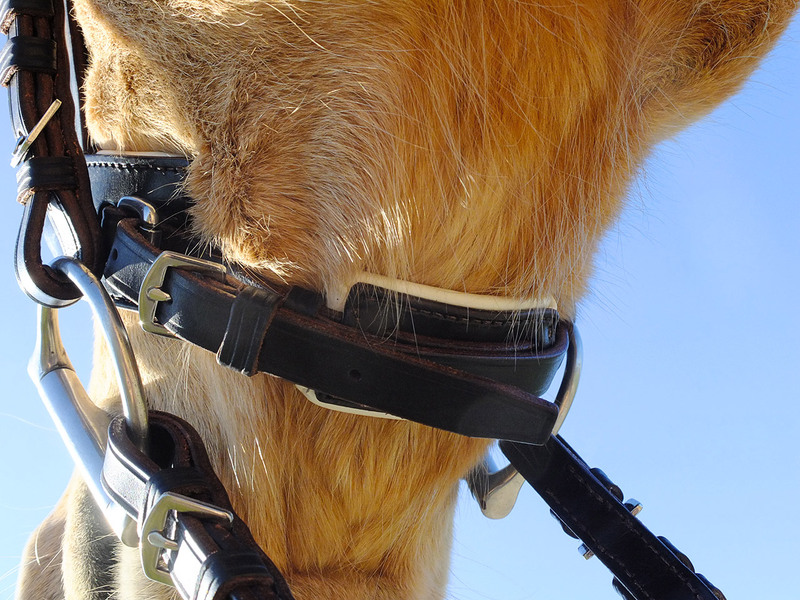 The Crank noseband is 4.5 cm tall and mounts two stainless steel rollers at its ends. 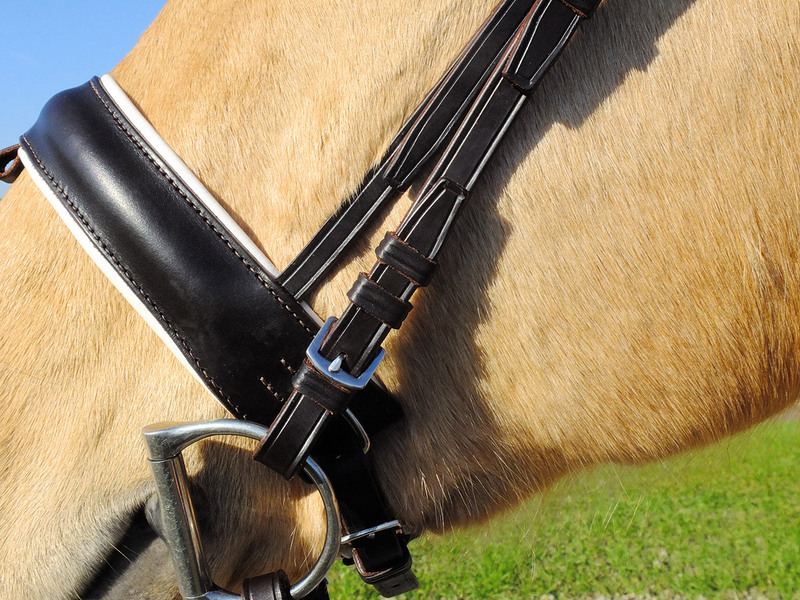 It comes complete with matching reins, covered with Equus rubbers.